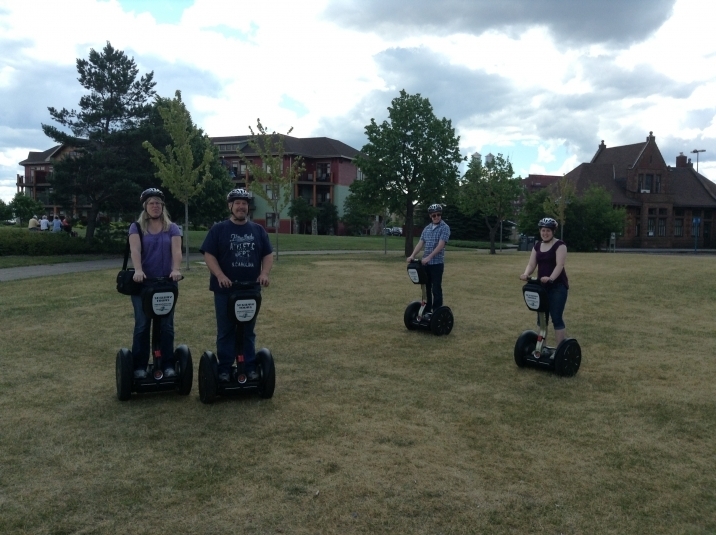 Lakeside Segway Tour – $70 – Duluth Glides – See Duluth on a Segway! 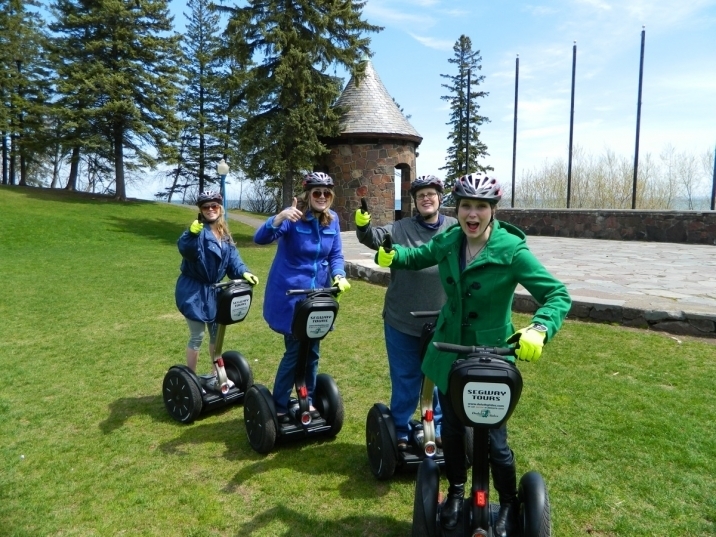 Glide into the heart of Duluth effortlessly along a nearly 6 mile tour of the Duluth’s Lakeside and Canal Park area on your own Segway® Personal Transporter (PT). 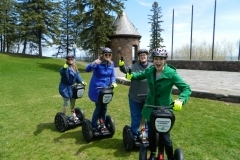 Explore more highlights of Duluth on your PT than possible by any other mode of transportation in a fraction of the time. 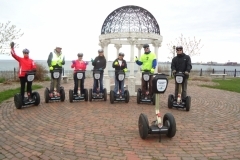 In addition to the pure excitement of riding the PT, enjoy the narrated tour pointing out the interesting history and facts about this great city via your own wireless audio system. 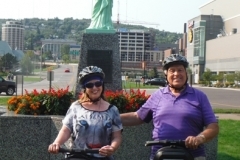 Rose Garden: One of the most beautiful and scenic areas in Duluth . 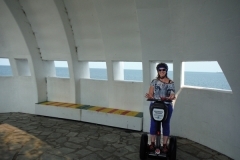 Leif Erikson Park: Norwegians say Leif was here well before Columbus. See his ship, park and Amphitheater. 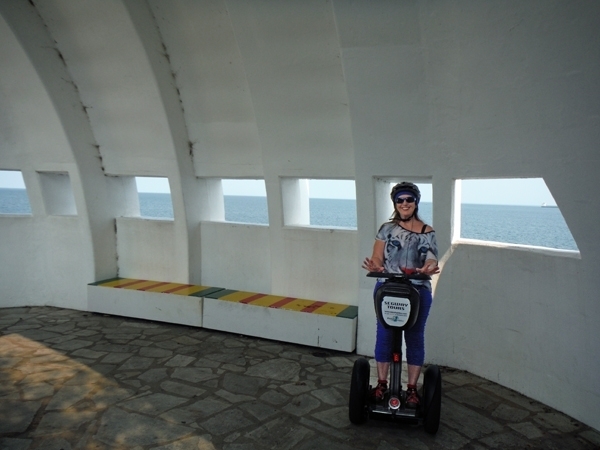 Vietnam and Korean War Memorials: Dedicated to Duluth area Veterans who gave the ultimate sacrifice. 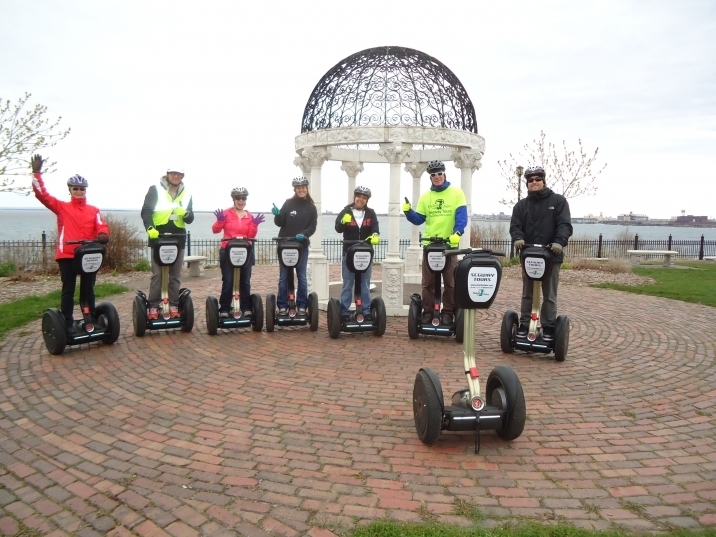 Duluth Lake Walk: Glide on miles of paved trails along the lakefront with unparalleled views of the lake while being envied by the pedestrians and bicyclists all through the heart of Canal Park. 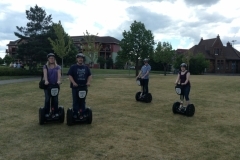 Be prepared to show the DuluthGlides Segway Smile! Mariners Museum: Lake Superior maritime history is on display and a restroom stop is available if needed. 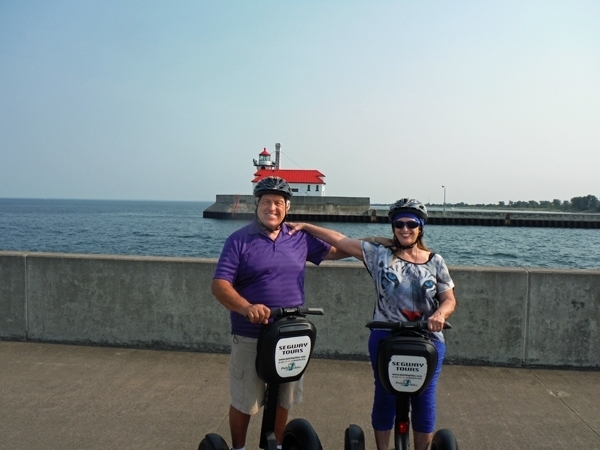 Ship Canal Lighthouse and High Bridge: Glide out to the entrance of the ship canal, stop and take photos at the lighthouse. If we are lucky a ship will be passing under the bridge. We will head farther west past the Vista Fleet, DECC, Duluth Aquarium, Bayfront Park, back toward the William H. Irvin, up the Zig-Zag ramp to high above the lake on our return. See the Historic Pickwick and the former Fitger’s Brewery as well as the last venue that Buddy Holly performed at before his tragic plane crash. 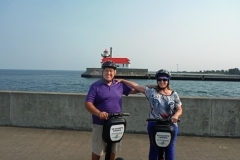 In July and August, on the Wednesday evening tour, glide along the lakefront and enjoy the Duluth Sailing Club conducting their weekly sailboat races, filling the harbor with dozens of white sails catching the breeze, a magnificent sight to see in Duluth. 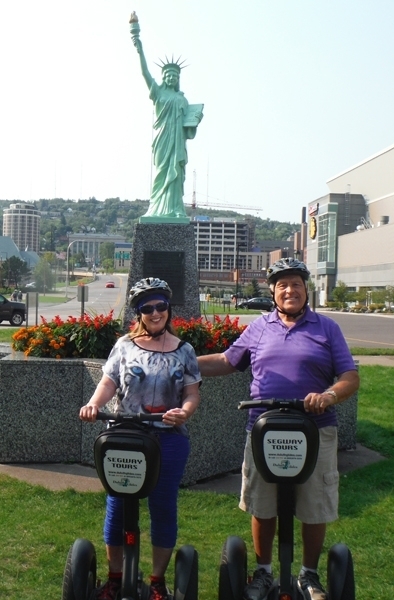 From mid September to mid October enjoy the fall colors along the lakewalk portion of this tour. When it is cool we will provide gloves and a hot drink and fireplace to warm up with upon returning.